The New American Mainstream is now the minority-majority driving our culture. This audience is ready and waiting for original stories, content and experiences that reflect their world. At WP Narrative_ we tap into the zeitgeist of what’s next, and the convergence of culture, technology and media consumption to create stories that resonate, engage, and entertain. WP Narrative_ is an award-winning agency built around a ground-breaking content innovation studio that creates experiences for all screens, platforms and IRL, including scripted and unscripted content, experiential, campaigns, and proprietary products. Through a blend of strategy, creative, innovation, and cultural intelligence, we tell authentic stories in ways audiences care about. By combining unprecedented Hollywood success, innovative storytelling, our deep understanding of today’s New American Mainstream audience, and bleeding edge tech, we look to bring brands deeper into the worlds of their consumers. Our proprietary approach and tools fuel our ability to not only create effective content experiences, but to identify what’s next, break new ground, and impact growth and brand innovation. Led by Hollywood Hitmaker, Will Packer, and marketing trailblazer, Tricia Clarke-Stone, WP Narrative_ has built a team of strategic thinkers, creatives, technologists, and makers that share a passion for bold, innovative storytelling and groundbreaking content solutions. In addition to creating effective brand campaigns for our clients, we commit real resources towards future-proofing brands, enabling discovery, and creating IP – by inventing, prototyping and building ideas, content, products, services, businesses, and experiences. The Lab is driven by a basis in creative technology and cultural intelligence, that permeates all of our work. We innovate against a three stage process of Validation, Prototype, and Deployment. Our expertise includes Hardware and Software Development, Digital Products, Virtual Reality, The IoT, Artificial Intelligence, Augmented Reality, Wearables, iBeacons, Data Visualization, Web Sockets, Marketing Technology and Mobile First Experiences. We have launched our own consumer facing products, experiences and businesses, hold patents, and engage in partnerships with brands to build and launch new platforms and products. 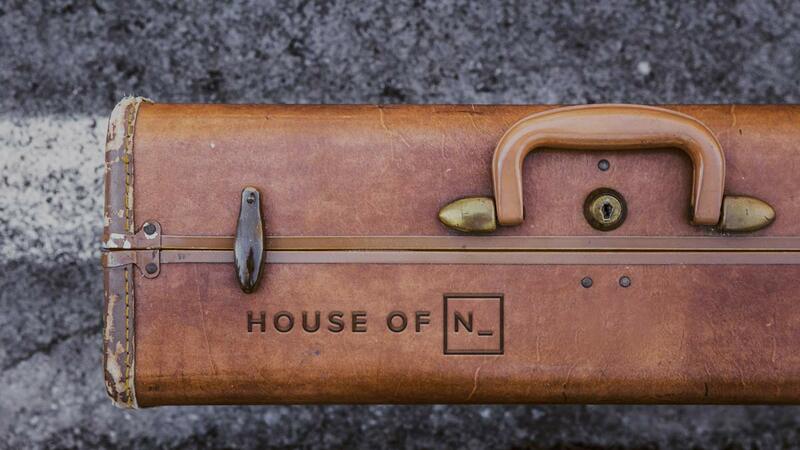 The House of N_ is where our integrated production capabilities live. Working within an agile, and real time production model, we are a collective of contemporary artists, filmmakers, creative technologists, innovators, culturati, and tastemakers that are part of the WPN_ family and share a DNA to create and inspire. Our teams champion artistic expression and embrace the impossible. We handle all forms of production spanning video content, virtual reality, mobile, experience design, events, projection mapping, social, IoE, AI and documentaries. A new way to work. We innovate, research, hunt, collaborate, ideate, invent, prototype, test, prove & create, pushing boundaries to find the next big thing. Great brands don’t co-opt culture, they create it. That’s why the way we hire, hang out, work, vacation and educate ourselves is focused on expanding our cultural vocabulary. At WP Narrative_, how cool you are matters and we aren’t afraid to admit it. We value strategies infused with focused cultural insights and reward anyone who can cross the line from spotting trends to making them. We strive to understand the needs of people and predict, define and create what the next behavioral shift will be. We spend less time talking about tech and more time actually using and building it. When you talk about it, it’s foreign, when it’s a part of who you are, you iterate, innovate and evolve it. We connect technology to the human experience. When we drive the technology we can drive the brand in innovative, meaningful directions. Innovation is the art of not repeating yourself. We press play not repeat. We observe, dig and uncover insights to establish new creative territories. We question, challenge, then reimagine and invent new market space. WP Narrative_ is always playing, experimenting, disrupting, and breaking things to find out what’s possible when it comes time to bringing a story to life. Innovation isn’t confined to a lab, it permeates everything we do. We go for hearts not eyeballs. In our Strategic approach we use research and data to identify the truths that engage real people. We design brand ecosystems that deliver unforgettable, story-led experiences that foster meaningful interaction, connection, and create authentic emotional investment.